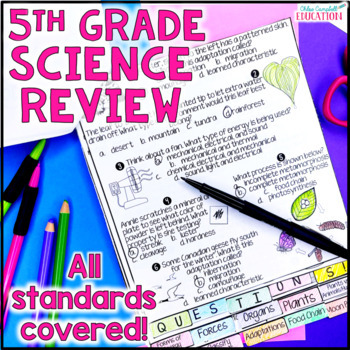 This resource was created to serve as a review before 5th graders take the Science Florida Comprehensive Assessment Test (FCAT 2.0). 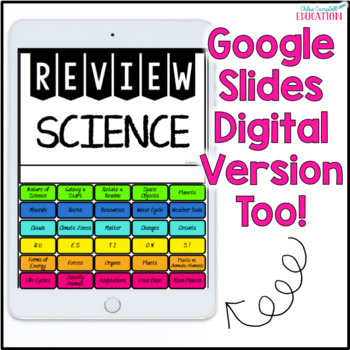 It can be used for any science standards, but it specifically aligns to the Florida Standards. If you'd like me to compare it to other state standards, just let me know at chloecampbelltpt@gmail.com. 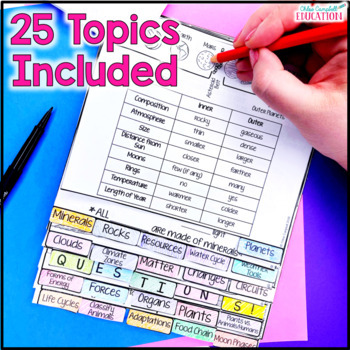 •Have students write down everything they remember about each topic. Please use what you think is best for your students. 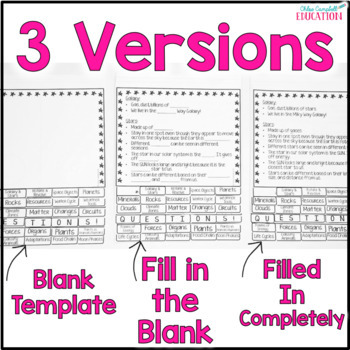 I absolutely recommend differentiating between these three flipbooks to meet your students’ needs.